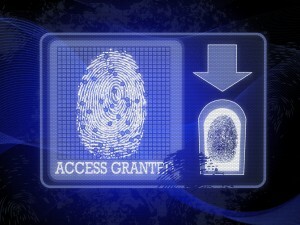 Biometrics is often thought of as the stuff of forensic crime shows or spy movies. However, it has been making the move from the big screen to the real world for the past few decades, albeit at a slow pace. Biometric technology has improved significantly since it was first introduced, but early issues with reliability and performance dissuaded many potential users and thus limited adoption of biometric authentication on a large scale. Now, however, two factors are propelling biometrics to the forefront of authentication systems: convenience and security. Using biometrics is arguably the most convenient method to verify a user’s ability to access both physical and virtual locations. It doesn’t require the user to remember a password, use a key card, or any other form of fob entry such as a swipe. This prevents users from being denied access to a location because of a lost key card or password. As security breaches become more common and hackers more proficient at accessing sensitive data, usernames and passwords simply don’t offer enough protection. Even more complex passwords can be broken with relatively little effort by skilled hackers. Biometrics allows a system to verify that the user who is attempting to access actually is who they say they are, as opposed to someone who stole their login information or key card. This is not to say that passwords and other non-biometric authentication systems are obsolete, nor will they go out of use anytime soon. The best bet for 100 percent assured authentication is a combination of both biometric and non-biometric data. One thing is certain, biometrics aren’t just science fiction any more. Improvements in technology and the need for increased security and convenience is making biometrics an integral part of assured authentication systems. For any further questions about Panoramic Cameras Offer Wide Area Surveillance simply contact ARK Systems at 1-800-995-0189 or click here today. Check us out on Facebook and Twitter as well! This entry was posted on Friday, November 15th, 2013 at 3:07 pm. Both comments and pings are currently closed.